Endgame Time-Loop Theory Is Real? One of the more popular Avengers: Endgame theories may have just gotten a significant boost from Marvel Studios boss Kevin Feige. Time and time-manipulation are the focus of nearly everything having to do with the upcoming Endgame when it comes down to discussion. Now, an old interview from the release of Doctor Strange has resurfaced and it seems to support the use of time loops and the future of the Marvel Cinematic Universe. Thankfully, or not, depending on your outlook, nothing ever really disappears from the internet. A 2016 interview with Doctor Strange screenwriter Jon Spaihts reveals more on the use of time loops as they pertain to that specific movie. However, Spaihts also reveals that Kevin Feige was in the room when discussions of time loops were being held and that he had a significant influence over their use in the movie and for the future of the MCU. Spaihts had this to say. Obviously, this doesn’t go and outright prove any of the Avengers: Endgame theories with time loops, but it is certainly very interesting. Kevin Feige and the Russo Brothers have revealed that Infinity War and Avengers: Endgame were in development for years before anything was ever committed to film. Feige mentioned this when asked about the Endgame title because some believed that the title was chosen at the last minute. Marvel Studios does not do anything by accident. This could mean that Doctor Stephen Strange started a time loop during the battle on Titan in Infinity War. This would also mean that the time loop has yet to repeat itself, which could provide our heroes in Avengers: Endgame with another battle with Thanos. It may also mean that Strange was able to send the Time and Space Stones to Tony Stark for him to study them and possibly work in tandem with the Quantum Realm in a separate theory. Again, these are all just unconfirmed theories that are fun to discuss. 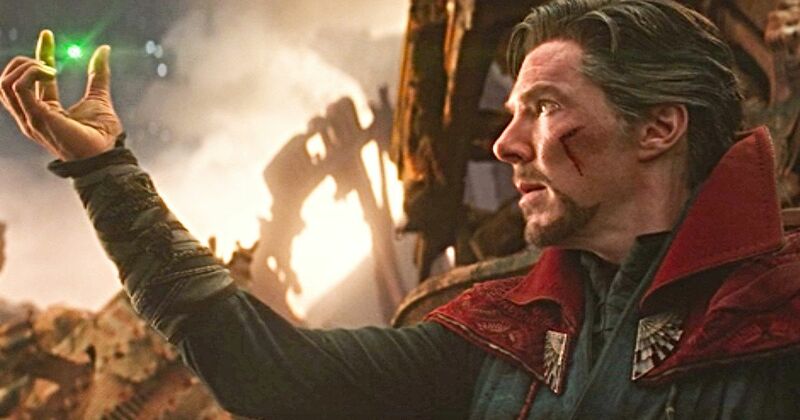 Avengers: Endgame will more than likely see some time trickery going on, which may very well have to do with one of the 14 million possibilities that Doctor Strange witnessed in Infinity War. Strange knew exactly what he was doing when he had Thanos spare Tony Stark in exchange for the Time Stone. After all, Strange was the one to utter the title of the highly anticipated sequel well before anyone knew what was going on. As for if this actually turns out to be true, we’ll just have to wait and see. The original interview was unearthed by a clever Reddit user.